LG is normally selling the G5 for as high as $650, but you can currently purchase the company's last year's flagship for under $300. 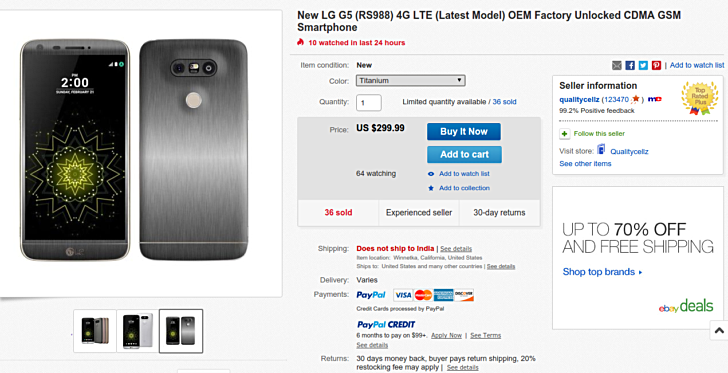 eBay seller qualitycellz is offering the unlocked variant for $299.99. It's the Titanium model that's currently available (the listing says Silver is out of stock), and limited quantities are available. A quick look at other third-party retailers like Amazon and B&H Photo reveals the same variant is being sold for around $350. For more information on the deal, head to the Source link below.